Luxurious custom home with thousands of dollars in updates and upgrades now available. This home is spotless, is in impeccable condition, and has had a lot of remodeling and additions since first custom built. 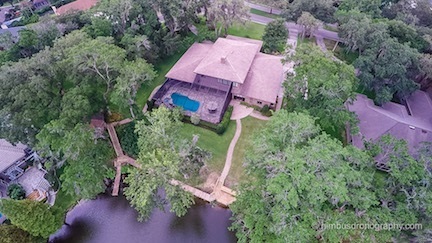 The home is nestled amongst grand, mature, established, lush landscaping and has magnificent views of the private, stocked lake. Enjoy relaxing on the dock, deck or back yard gazebo on this almost 1. 5 acres estate lot, or take a dip in the glimmering pool or hot tub (you will no notice real stone decking around the pool - no pavers here). The master bedroom and bathroom suite is beautiful and extensive - must be seen to be believed. *Disclaimer: Retirement Funding Solutions. NMLS 1025894. Florida Mortgage Lender License MLD1079. Age 75, 5.06% interest rate, 6.91% APR. Must maintain the home as your primary residence and must remain current on property taxes, homeowners insurance, or condo fees.